We a large scale manufacturer of plywood with experience in manufacturing plyboard for more than ten years. With one large scale factory located in Shandong Province of China, we can produce plywood of all kinds about 100,000 cubic meters every year. The mill is about 6km away from Beijing-Shanghai Highway and 5 hours drive from Qingdao port. Our great location help us get the great convinience of international shipping, which is essensial for quick delivery of foreign orders. 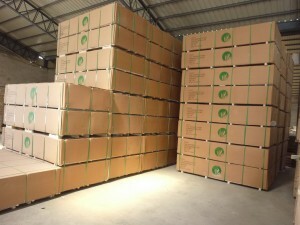 At the same time we are also one of the largest exporters of plywood in China. The products exported are okoume, bintangor, film faced plywood, wbp plywood, phenolic plywood, F17 plywood, shuttering, laminated, melamine, fancy plywood and plywood floors. Film faced plywood is also a very important product of ours. The shuttering board has been large exported to Middle East, South East Asia, Africa, South America etc. As a direct factory of plywood, we can assure the quality of the products manufactured. At the same time we assure you that the price you get from us is the best at the same quality. We are glad to establish long term business with plywood dealers and brands based on contract manufacturing. Details can be discussed through further communication.